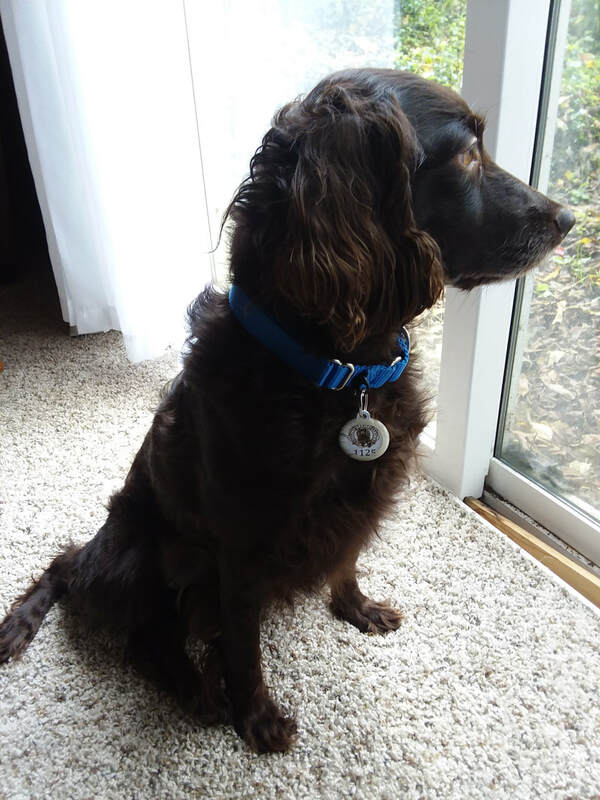 PFC Sadie - Boykin Spaniel Rescue, Inc.
Sadie came into care after several hand-overs from owner to owner. As a dog that had previously led an outdoor-only life, she was transitioning well to an indoor life with her new owner, when she was taken in for her spay surgery. Once on the table, though, it was observed that her internal organs were mired in extensive adhesions throughout the abdominal cavity, to the point that a consulting specialist considered it was unsafe to dissect down to the uterus to carry out the spay. We will never know what former traumas or events there may have been to cause her abnormal internal state, but the owner wanted to make sure that whatever might come up, she would be well cared for. Knowing he might not be able to provide extensive medical care, he asked if BSR would take her in and make sure that she got the best life possible. Since all dogs leaving BSR's care for adoptability must be spayed or neutered, she is now happily adjusting to life in upstate New York with her PFC foster family.